Have you been injured in a trip and fall? The Glorioso Law Firm has extensive experience handling trip and fall cases. Much like a slip and fall case, a trip and fall can cause serious injuries including death. Injuries from trip and falls include broken bones, torn ligaments and muscles and traumatic brain injuries or concussions. If you have been involved in a trip and fall and have suffered injuries, you will most likely need an experienced personal injury trip and fall lawyer. Insurance companies typically do not settle trip and fall cases without some degree of litigation. Most of the time, a lawsuit will need to be filed and depositions will need to be taken. In order to be compensated for injuries, including pain and suffering, mental anguish, medical expenses and lost wages, you will have to prove that the owner of the property where you fell was at fault. Most trip and falls are caused by a condition on someone’s property which caused you to trip and fall. In order to have a successful claim you and your lawyer will need to prove that the defective condition was unreasonably dangerous. This can prove to be difficult. Whether your trip and fall was caused by an uneven walking surface, a wrinkle in a carpet, or any other defective and dangerous condition The Glorioso Law Firm has the experience and knowledge to get the results you deserve. To make things even more difficult, in Louisiana, the law states that the injured person also has to prove that the defendant either created the tripping hazard or knew or should have known that the hazard existed (notice) and that the failed to do anything about it or failed to warn of it’s existence. This is the primary reason why most trip and fall cases are defended by the big insurance companies and defense law firms. If you trip and fall, it is very important that you take a picture of the thing that caused you to trip. In addition, if there are any witnesses, get their name and contact information. Do not count on the property owner to provide this information. The Glorioso Law Firm has handled enough trip and fall cases to know that a fall can be very embarrassing. In a lot of cases the person who fell will get up if they can and walk away due to the embarrassment. If this happens to you, it is important to remain where you are and call for help if possible. If possible report your fall as soon as possible to the property owner and ask that a report is made. Then seek medical attention as soon as possible. 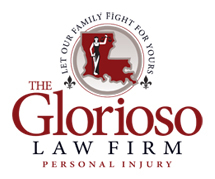 If you have been injured in a trip and fall accident in New Orleans, Metairie, Kenner, Covington, Mandeville, Slidell, Baton Rouge or any other city in Louisiana please call The Glorioso Law Firm and let our family fight for yours.